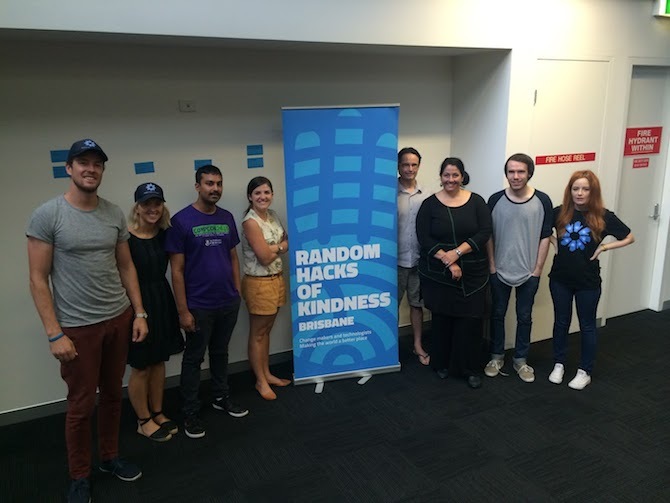 On November 28, 29, a group of passionate people came together to the Random Hacks Of Kindness Brisbane event hosted at News Corp in Bowen Hills. It took me a while to come to terms with the fact that this was the same building I spent the first 6 years of my career in. Since leaving, the place has been transformed from a drab, dirty, 70s rabbit warren to this plush, sparkly, innovative, open plan space with access to real food and coffee. It’s really quite amazing. If it had looked like that in my day, I may very well still be working there! So once I’d moved on from that shock, it was time to get down to business. Day 1 was pretty tumultuous. 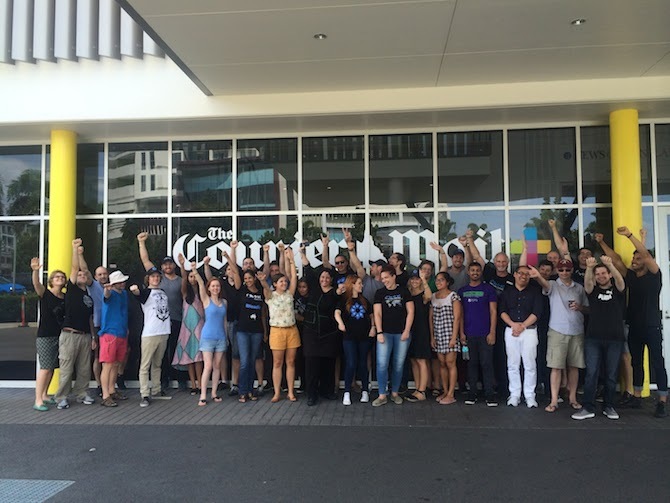 A wonderful group came on board to support Yompers Work, but unfortunately we didn’t have any coders. 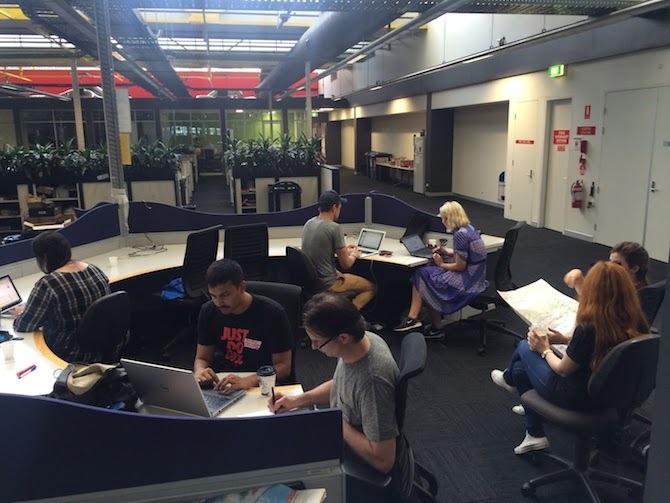 But who really needs coders when you’re a start up right? By the end of the weekend, the group seriously hacked. Hacked like never before. Like never before, you say? Impossible without coders right? Wrong. Folks, Yompers Work didn’t even exist before that weekend. It was an idea, nothing more. And this group of wonderful people made it real. So real in fact that it even appeared in The Sunday Mail. How crazy is that? I was blessed to have Benjamin on board who hacked together financial modelling. Seriously! And Carrah who, by some miracle (make that stroke of genius), found the perfect WordPress template we could use to build our MVP (Minimum Viable Product). And Randall who put on his tactician hat and helped make WordPress work. And Pru who sat quietly in a corner for hours to surprise us with about 3/4 of our presentation done and dusted. Some members of my group were the last to leave on Saturday night. Passionate much? Come Sunday afternoon when the time came to present, we delivered excellence. And given Yompers Work is all about delivering excellence, I now know I am on the right track. 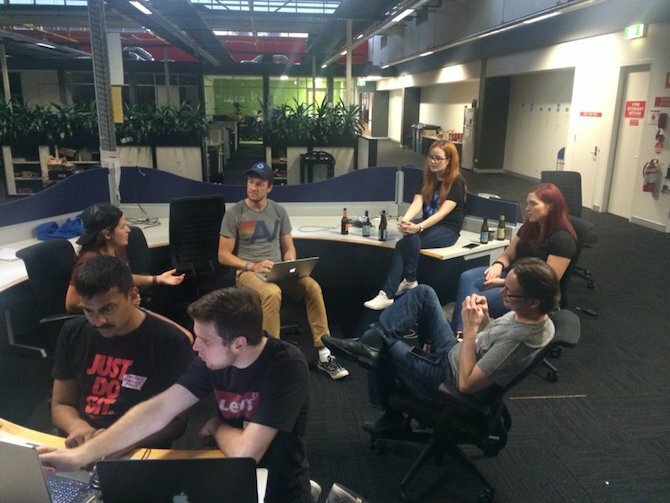 We didn’t win the contest, but boy did we hack. And that’s what this event is all about. Special thanks to organiser Chad Renando whose calm, kindness and level-headedness helped get me through the rollercoaster ride. You’re awesome. 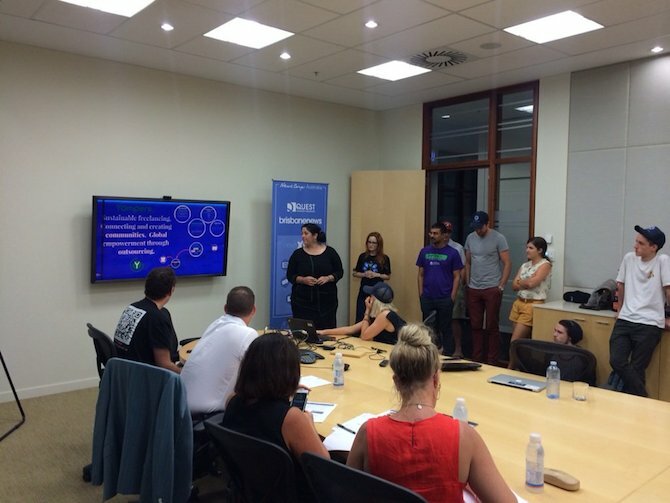 It was also inspiring seeing all the other amazing social enterprise projects kicking some amazing goals. 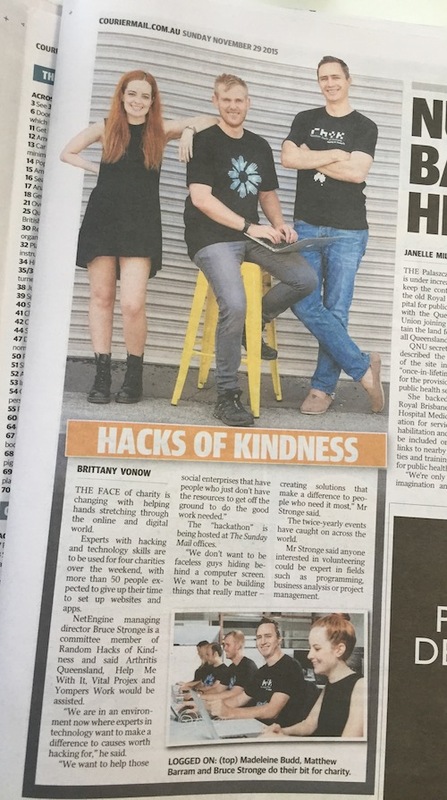 As an utter social enterprise nerd, it warmed the cockles of my heart. Good luck to you all.